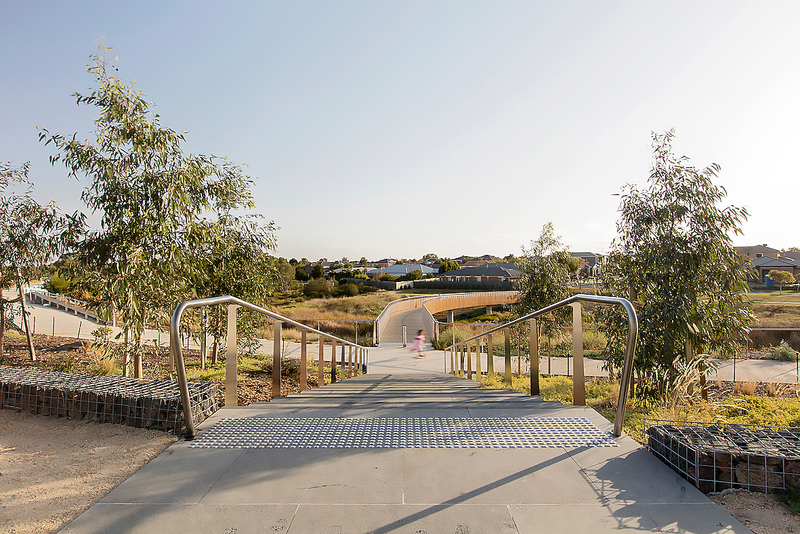 With the Victorian Election just over a week away, the Victorian Chapter of the Australian Institute of Landscape Architects (AILA) has taken the opportunity to call for increased investment in green infrastructure, in an effort to improve life expectancy and liveability for Melburnians. The AILA’s Victorian Chapter has released a state election campaign statement with its president, Adrian Gray calling on all parties to prioritise green infrastructure as part of their policy platforms. Gray cites a study from Thomas Longden at University of Technology Sydney which showed Melbourne had the highest rate of heat-related deaths out of all Australian capital cities. Gray argues that the issue is not currently being addressed at the urban design and planning stages and this needs to change. In the statement the AILA states that over half of the surfaces in Melbourne are heat absorbing materials including darker coloured roofs, car parks, roadways and footpaths despite research showing that cooler places enable people to live longer through improved air quality, reduced c02 emissions and the resistance to heat related deaths. Other key areas of the election campaign statement are increasing active transport systems to promote a healthy city such as more walking and bike paths to promote active travel and healthy cities as well as the improvement of access to nature. There is the need to prioritise landscapes and green infrastructure in the planning scheme to build a healthy, liveable city as Melbourne’s population grows steadily. With Victorians dying from heatwaves due the high temperatures we experience, the topic of cooling the city is a must for the political agenda to save lives and improve liveability. Steps can be taken at planning, policy and urban design phases to lowering temperatures in Melbourne which include increasing the tree canopy cover across all of Melbourne, revising tree clearance guidelines and implementing planning scheme protection for all trees across Melbourne. The impact of heat ultimately needs to be managed where planning schemes must address community health. Victoria needs to become resilient to climate change and remain liveable by improving our urban landscape, where green infrastructure is needed for the long term. Even those suburbs that are renowned as ‘leafy’ face the threat of losing that status with increased housing density, reduced backyard size with subdivisions and the rising number of cars driving down streets.Politicians from all sides of politics need to make a clearer commitment to developing best practice for green infrastructure projects and increasing the investment in water sensitive urban designed streets and tree planting. Melbourne needs to become less car-oriented with walking trails, bike paths and pedestrian access requiring improvement. Cities need to support human health and wellbeing and one way this can be achieved is by increasing investment via green infrastructure, urban design and improving mandatory requirements for green infrastructure in the planning scheme. The full State Election Campaign Statement from AILA Victoria can be downloaded here.